The idea to create a series of videos to cover the core techniques of riding a kite surfboard started back in 2011 and after some initial setbacks, we started filming in December 2013. I naively though that within the next year I’d release 4 videos (containing less than 2 hours of instruction) covering everything needed to go from your first ride on a surfboard through to frontside and backside wave riding. 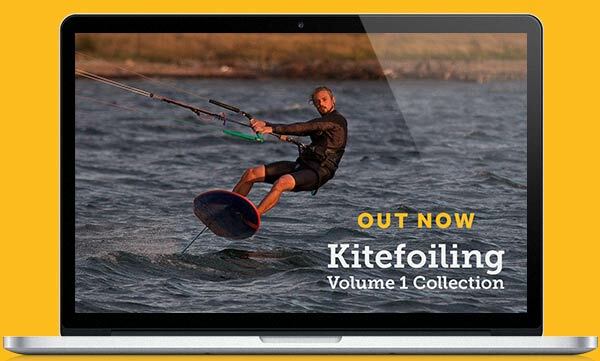 Well, 3 years and 4 months late I’m proud to release the final video, Connecting Turns, which has turned out to be the 12th video in the series and putting the running time of the full Kitesurfing Volume 1 Collection at 4 hours and 18 minutes. It turned out to be a far more complicated project than I ever imagined, with equal helpings of frustration and excitement sprinkled through the last 3 years. The evolution of this project has come with my own Progression as a wave rider. The reason I believe these videos work, is I have learnt so much from watching and analysing what makes Oswald, Colin, Lee and Jalou such great wave riders. 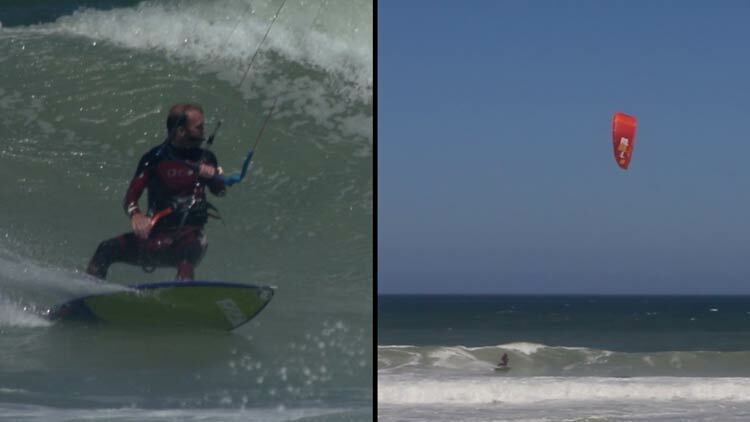 Ever time I grab my surfboard and go kite, its images of them that flash through my mind as I push myself to try and improve every carve, on every wave. 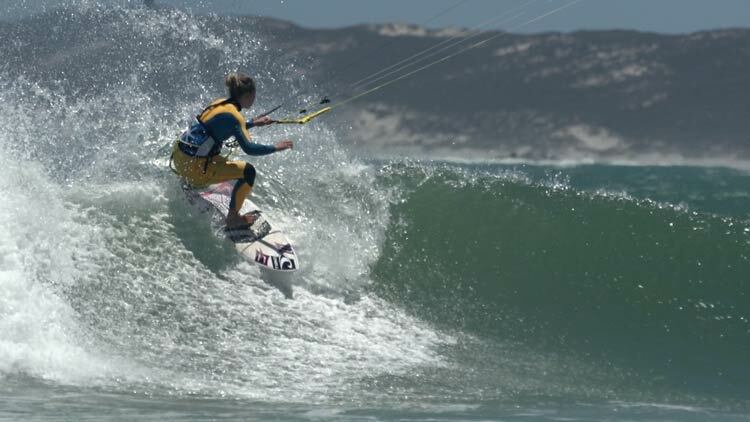 Also a big thanks to Airush and North Kiteboarding for their support of this project, both came onboard when we first floated the idea 6 years ago and have stuck by us the whole way. 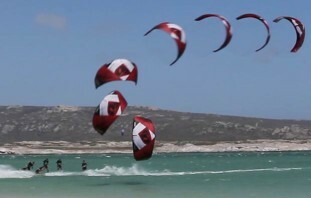 This final video was something I didn’t initially plan for but once I was knee deep in the edit of the Frontside Fundamentals video it became clear that it would be the right ending to this series, It looks at the ways in which you can fly your kite, whether that’s large powerful movements of the kite, small subtle turns or a stationary kite, drifting downwind. They all have a purpose and showing you when and how to use each is the aim. 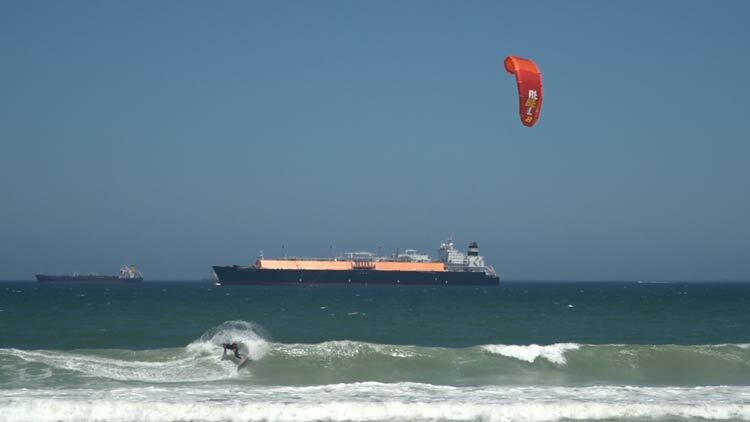 Learning to ride a surfboard, with a kite, is a challenge as the wave is a real wild card. Every wave is different, even at the same spot – an hour can completely change the way a wave breaks. 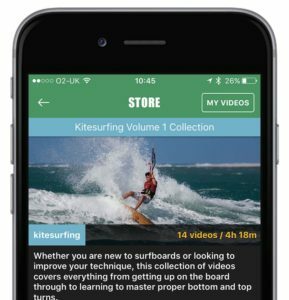 So experience and practice are vital but hopefully, this video and the rest of the Kitesurfing Volume 1 Collection will give you the foundation and core skills needed to better understand where you are trying to get to, making each session a little more fun! As always if you have any questions or feedback please ask away in the comments below or drop me an email. Now it’s time for the next Progression project – we have a lot of ideas but if you want to have your say please complete our short 3-minute survey.